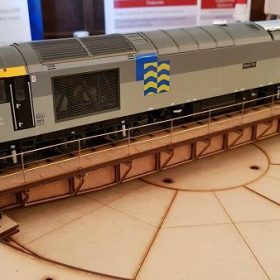 We can confirm that we now have the privilege of working in conjunction with Mike Green to supply his stunning laser cut turntables and at this weekend’s Rail-Ex at Taunton, we saw both his OO and O gauge turntables in operation and they are simply stunning. I dread to think of the number of hours put in to get to the production stage and I know Mike is extremely pleased with the end result. 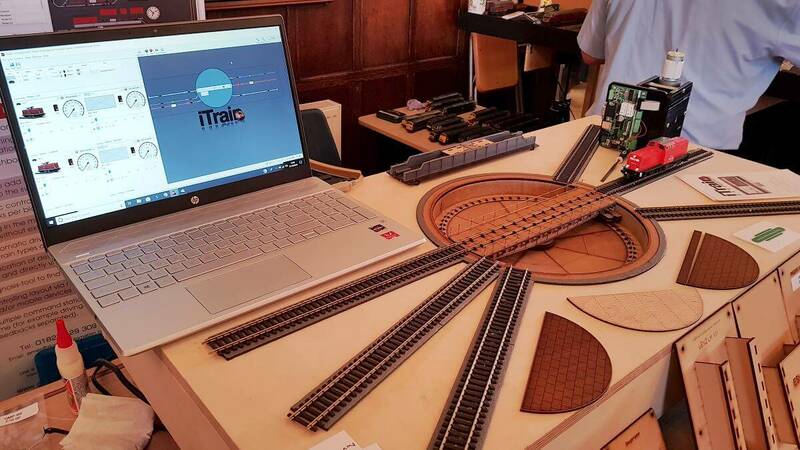 Also working with DCC Train Automation, these turntables can now be controlled by an indexing system linked up to computer software, the recommended solution being iTrain, for which James is the UK supplier and support of iTrain. If you don’t want the turntable to be computer controlled, then you can simply order the motorised add-on and hook this up to a 12v controller and operate it manually, just as Mike was doing on the O gauge turntable at the exhibition, whilst the OO gauge one was being automated by iTrain control. 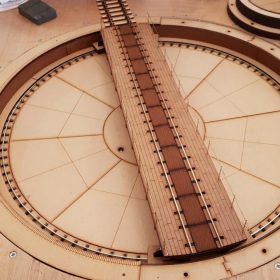 These turntables are all made on an ‘order’ basis, so once payment has been received, Mike will begin producing your turntable and will keep us informed of the progress. Once complete, the turntable will be sent directly to you by recorded delivery. Our estimated build to delivery at the moment is approx 21 days, however, this can change.